Generic drugs include the same dosage of the same medicine as name brand drugs, so why do customers sometimes prefer to buy the more expensive name brands over less expensive generics? There can be many psychological reasons people choose to spend the money on more expensive medications even though less expensive ones can give them the same results. Quite often, doctors’ offices receive visits from pharmaceutical sales representatives who offer doctors incentives like free samples. Doctors may then choose to prescribe certain name brand drugs over generics because of the benefits they receive or the familiarity they have with the drug. If doctors have been prescribing the same name brand medication for years they might be reluctant to prescribe a generic drug or other brand in case it doesn’t work as well. Another reason doctors might prescribe more expensive medication is because they are protecting themselves against lawsuits from patients who don’t believe they were given the best possible treatment. 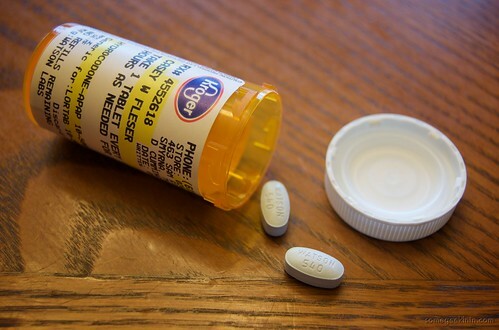 If generic drugs don’t work for a patient chances are the name brand drug would be just as ineffective, but in our often-litigious society many doctors do what they can to give the impression of providing the best possible care. Doctors are not the only ones who may prefer name brands over generics, but people who take the drugs often do so because they cost more. It might seem like a higher cost for prescriptions would deter people from taking them, but with insurance picking up a large amount of the difference customers don’t see as much of a price hike. People often think that because something costs more it must be worth more, but this isn’t necessarily the case. When a new drug is introduced into the market, the company that first develops the drug usually has a patent, meaning that other companies cannot create identical drugs for a period of several years. This puts that company brand at the front, leading customers to believe that their products are better. If the drug works well, the benefits of using that drug are often then associated with the name brand drug instead of the active ingredients, such as Advil instead of ibuprofen. Pharmaceutical companies regularly name their drugs so they provide a positive association for potential customers. Brands like Theraflu directly imply through their names that they are the best for easing your symptoms. Words like acetaminophen just don’t have the same connotations, and can’t be manipulated to take advantage of these associations. The more people are exposed to a product through advertising, the more likely they are to remember the information about it and request the drug from their doctors. Advertisements in magazines, on television and radio, and even through word of mouth can introduce potential customers to the benefits of certain name brand drugs. Customers unfamiliar with the generic name of drugs will often ask their doctors for that specific brand, convinced it’s the way to go. Other people, brand imaging and ingrained perceptions are just a few of the reasons people may decide to spend the extra money on name brand drugs. These reasons show that image really is everything when it comes to appealing to consumers and their buying power.